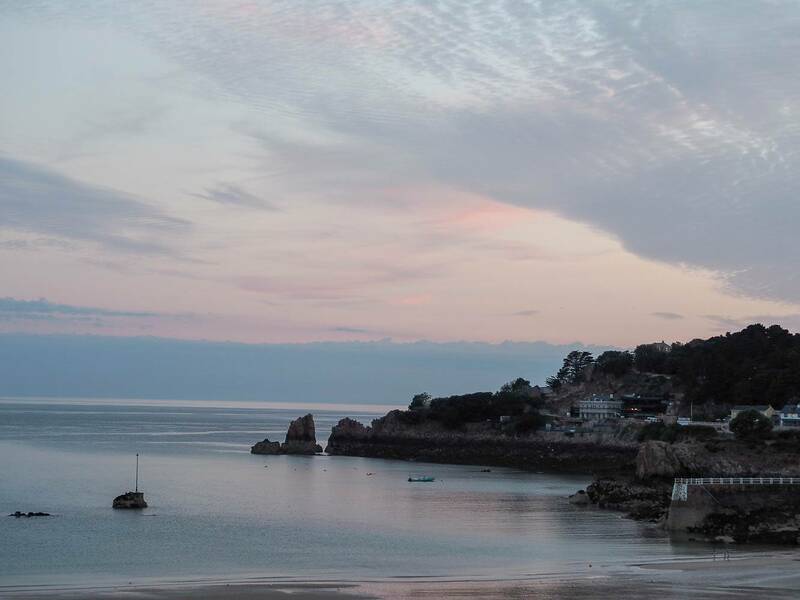 We’ve just got back from our trip to Jersey and it’s left me feeling a bit emotional. We had an amazing time, one that we really didn’t want to end. Jersey captured a piece of my heart and we all left with talks of coming back, which just says it all. 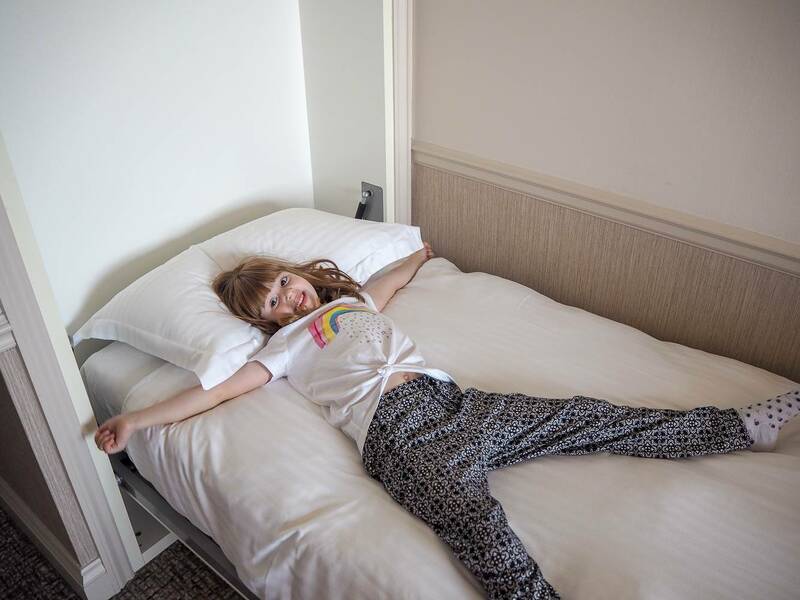 What had felt like a long stretch down to the school holidays, that last week of term crazy busy at school, Holly’s last day at preschool and me trying to get us to ready for our little adventure to Jersey, we were all ready to relax. Well as much as you can relax with 2 children! The night before everything was packed and ready to go, we put two tired and excited girls to bed and set an early alarm. I mean is it even a holiday if you don’t get up early? Thankfully the girls slept well and when the alarm went off we all excitedly got dressed and drove to Poole. All the girls could talk about was the fact we were taking our car on the boat! I don’t think their little minds could cope with it. Our Condor Ferry was due to leave at 9.15am and the crossing was going to take 4 1/2 hours to arrive in Jersey. When we arrived we breezed through check in and joined the line of cars waiting to board our Condor Ferry. It wasn’t long until the moment the girls had been waiting for arrived and we drove onto the ferry. Does it get more exciting when you’re 3 and 5 years old! Andy squeezed his car into a ridiculously small space, it always amazes me how they fit all the cars in the ferry. It’s like a game of Tetris! With the car safely parked, we headed through the orange door and up to the deck. We were in Ocean Plus and at check in we had been given the code to get in the door. It was great to have this level of security to contain the girls. We had a table seat, with four seats and this made our life a lot easier. Within Ocean Plus we had our own bar area with light snacks and refreshments. The best bit was the views as the Ocean Plus area is at the front of the ferry. 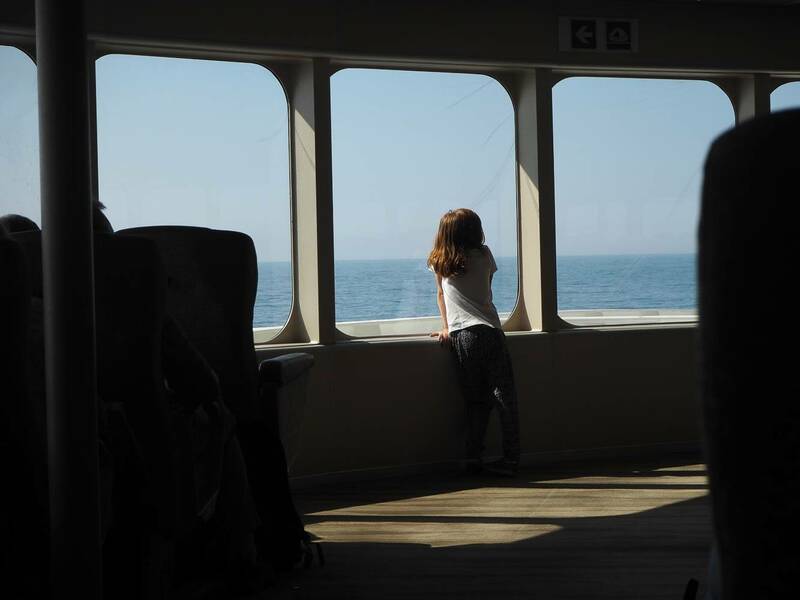 The girls loved just watching out to sea, spotting ships! 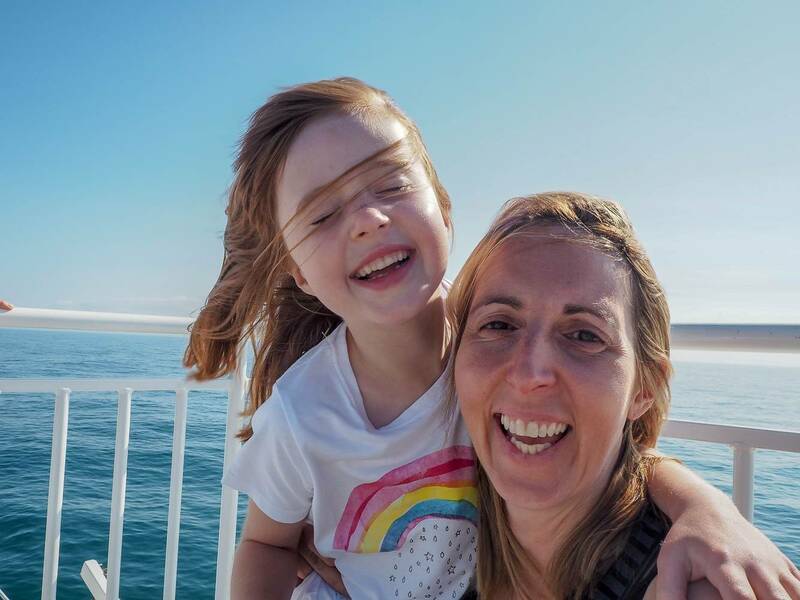 We went for an explore around the ferry and there are lots of seating areas, another bar with light snacks and a canteen style restaurant and you take your food back to your seat. We ate there on both journeys and the food was lovely. They did food boxes for the girls which were reasonably priced and they enjoyed them. There was a kid zone, which is only a television with bean bags in it. 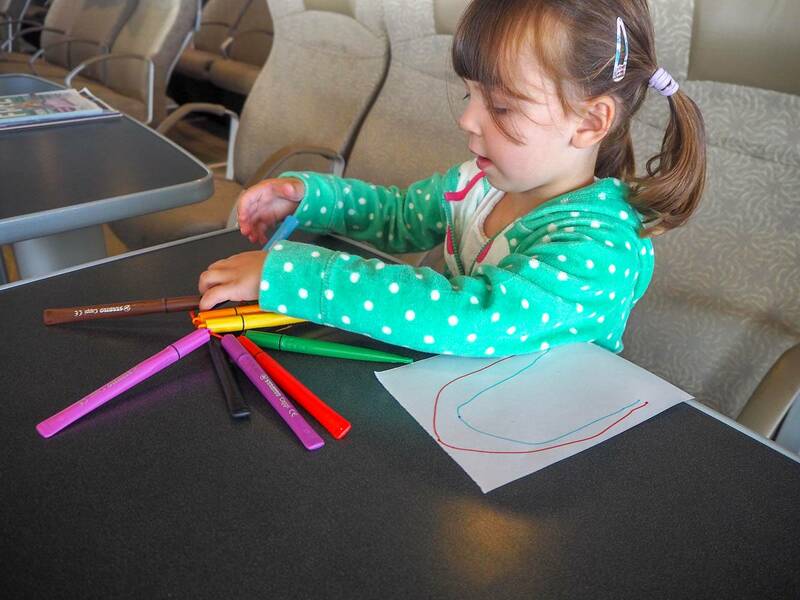 We didn’t make use of it, as my girls were more than happy to do colouring at the table or go up on the deck and see the views. Of course it’s not a holiday without duty free and they sold everything you’d expect and I’m a complete holiday cliche and brought a fruit and nut toblerone! Which I enjoyed on our balcony each night in the hotel. There is a viewing deck on top of ferry and when you are right out at sea it is very very windy. Alice and I were getting blown away, but for some crazy reason this little girl loved it. It was a really calm crossing and for someone that gets sea sickness, I didn’t feel sick once. 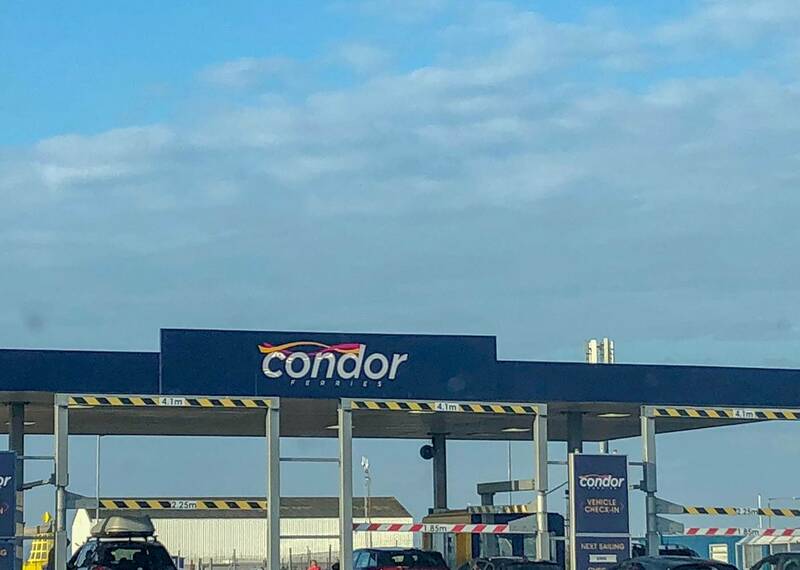 En-route to Jersey, Condor Ferries always stop of at Guernsey first and anyone visiting there gets off. The girls loved watching the cars all leave the ferry from the top viewing deck. With everyone off it wasn’t long before we were heading for Jersey. 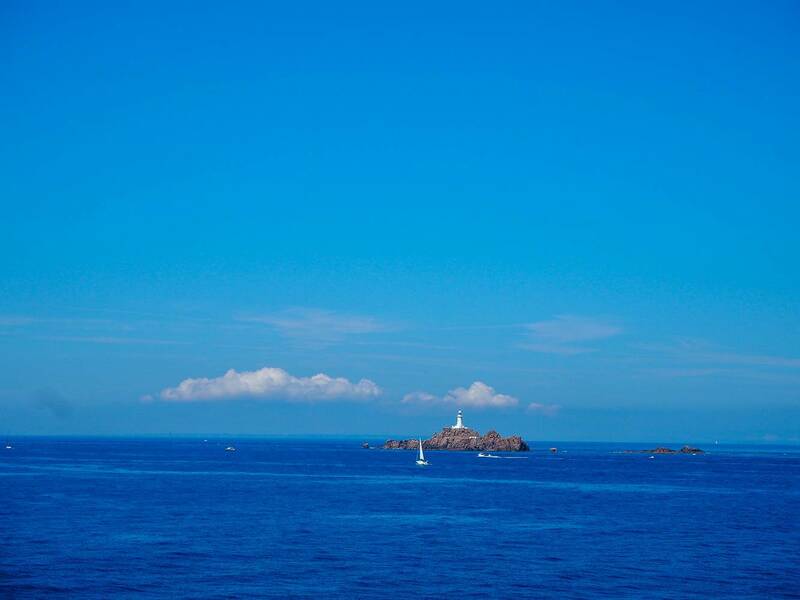 The Channel Islands hold a lot of memories for me as a child, we holidayed at both Guernsey and Jersey several times. I couldn’t wait to visit some of my favourite places to see if it had changed. Plus Andy and the girls had never been before and it was lovely to share it with them. 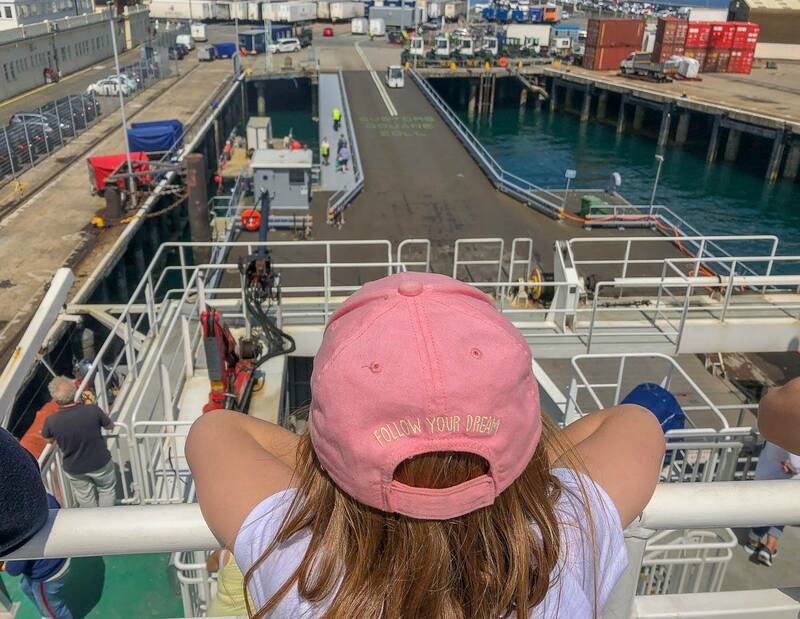 Seeing that first glimpse of Jersey as our Condor Ferry arrived in St Heilier was amazing, the girls were hyped up and excited and it was quite incredible watching this big ferry dock. We headed back to our car and made our way off the ferry and to our hotel. 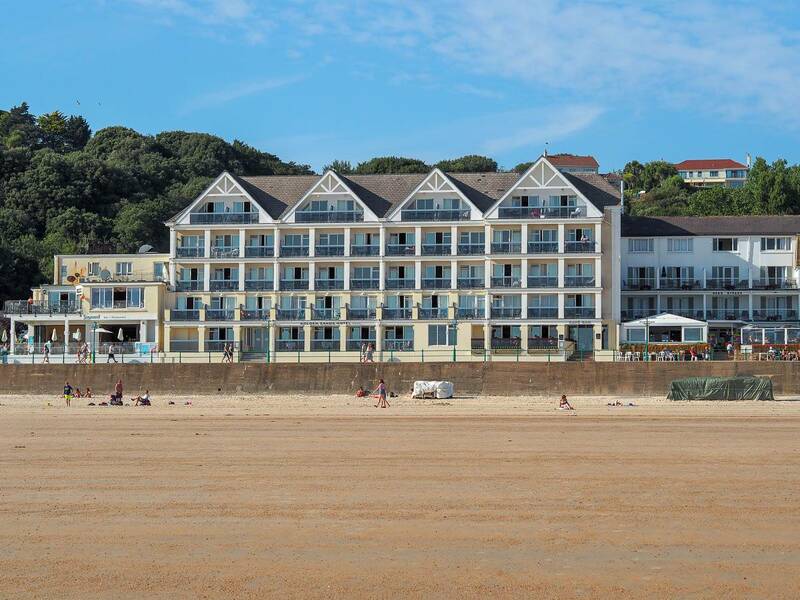 We were staying at the Golden Sands Hotel in St Brelades and we knew that it was right on the beach, but I don’t think any of us were quite expecting the views we got. 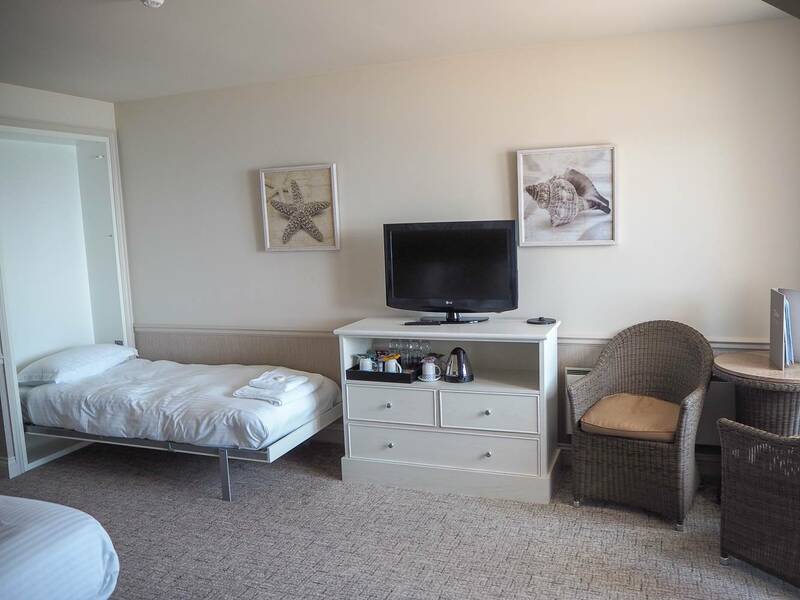 We had a Superior Family Room and they are situated right at the top of the hotel, which was perfect for families as it meant we didn’t hear any noise from the beach, restaurants etc. The girls each had their own beds, Andy and I had a massive bed which we all probably could’ve fitted in. There was plenty of space too, with a television, table and chairs and coffee making facilities. The best bit of the room, was our balcony. With 2 chairs and a table and views that were just incredible. The girls loved sitting out there. 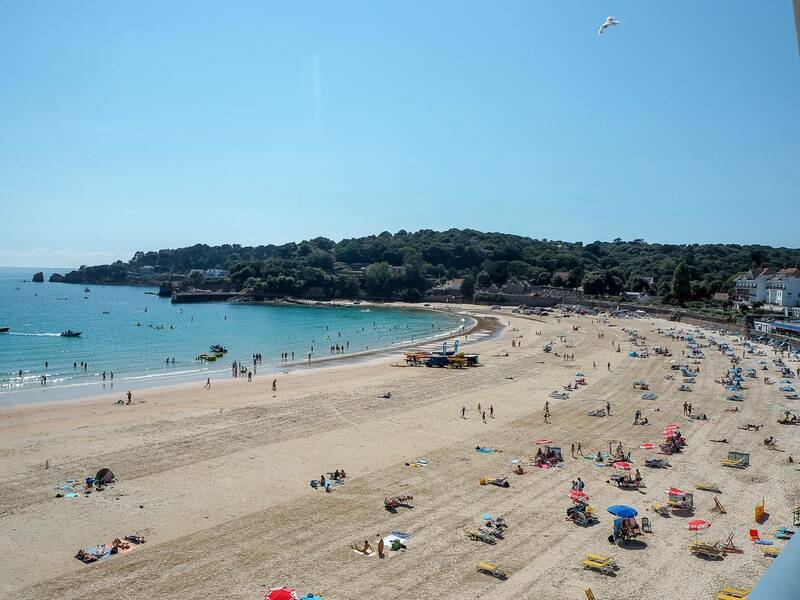 We quickly unpacked and got changed before heading out to take a closer look at St Brelade beach and promenade. We knew that when we arrived it would soon be dinner and I had booked us a table at Pizza Express, which was a 5 seconds walk from our hotel. It’s the girls favourite and I don’t think I’ve ever seen a Pizza Express right on the beach before, we had amazing views from our table. 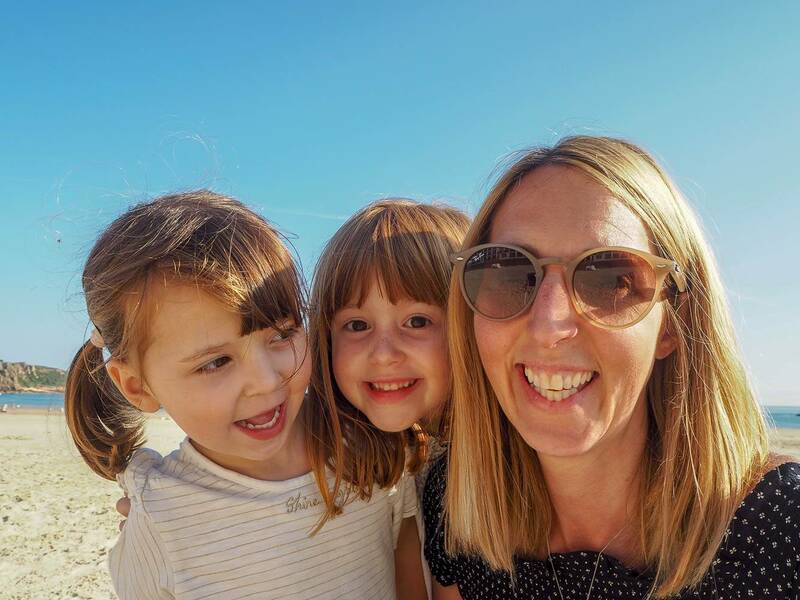 With full tummies the girls couldn’t wait to go on the beach for some early evening fun. 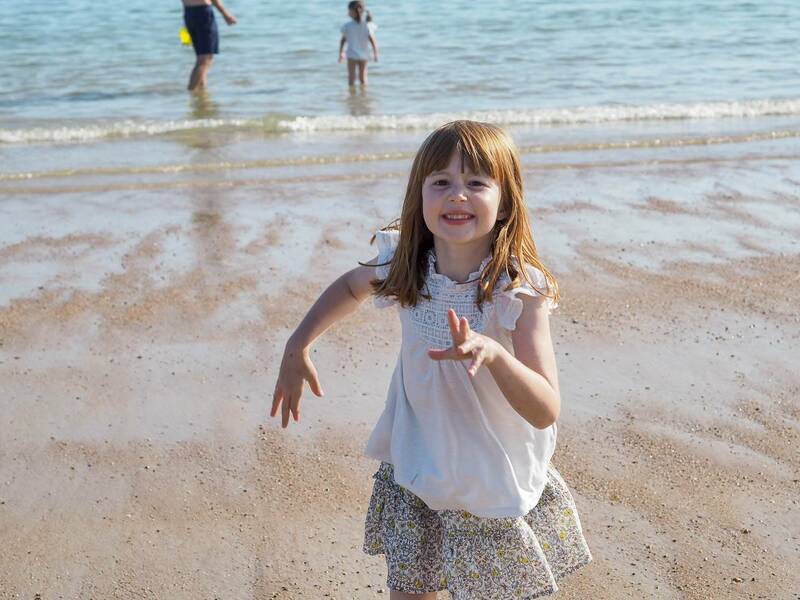 Holly is a little girl that just loves sand and she couldn’t wait to go digging with her bucket and spade. It wasn’t long before they were heading for the sea for their first dip of the toes. 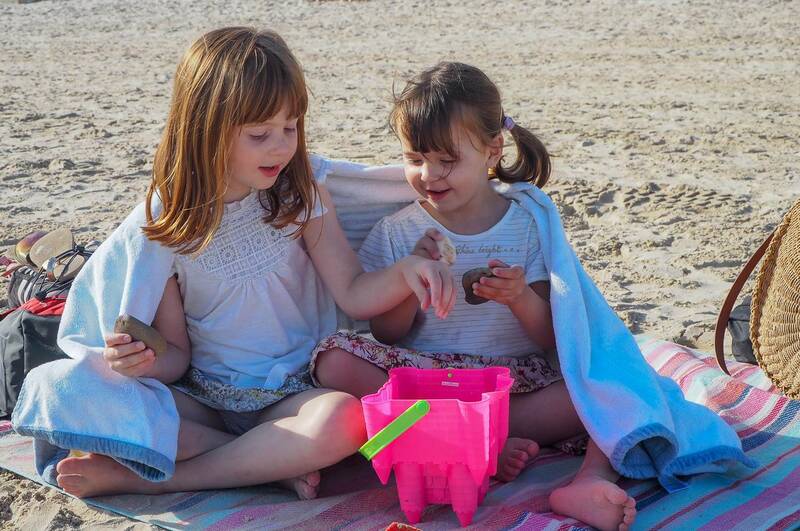 I love simple moments like these, where the girls are easily entertained and we can just soak it up. These are the memories I want them to remember forever. 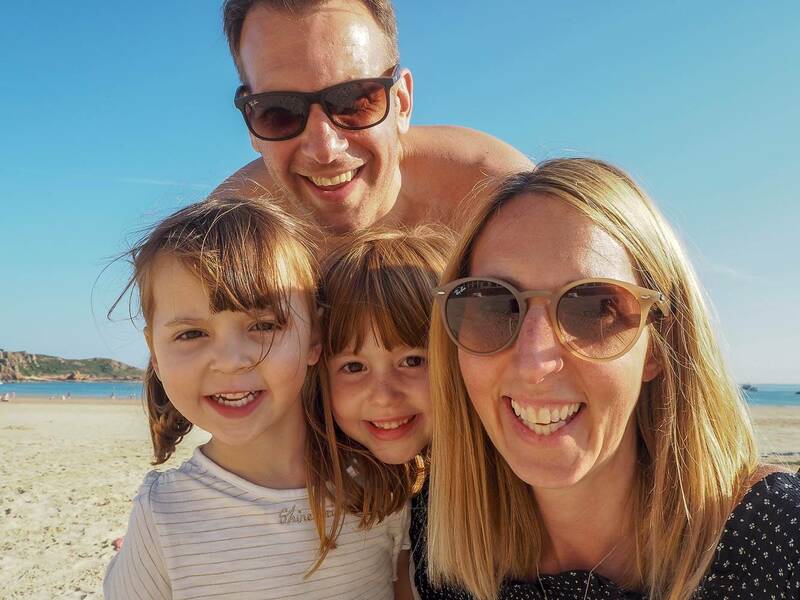 Whilst we could’ve happily stayed on the beach all night long, after an early start we were all ready to head back to our hotel for a bath and bedtime. 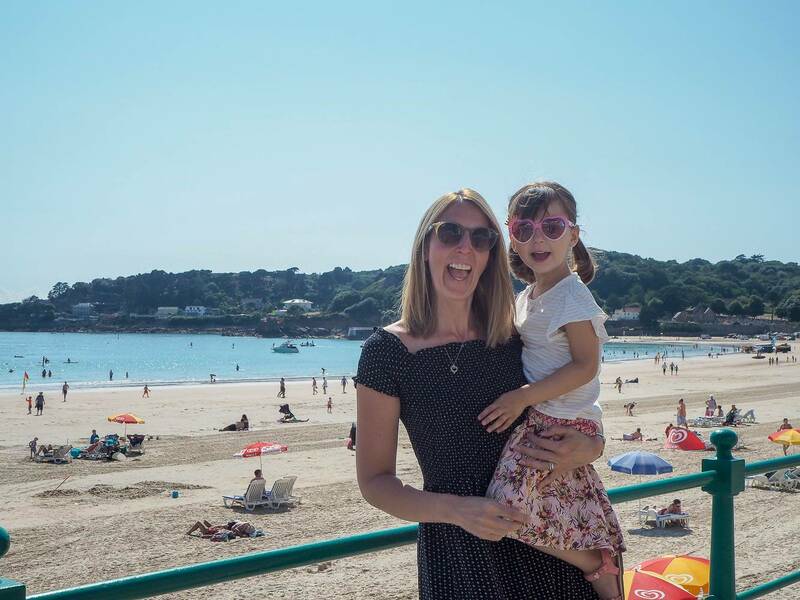 I’ll be back tomorrow with part two of our Jersey adventures, I have so much to show you! 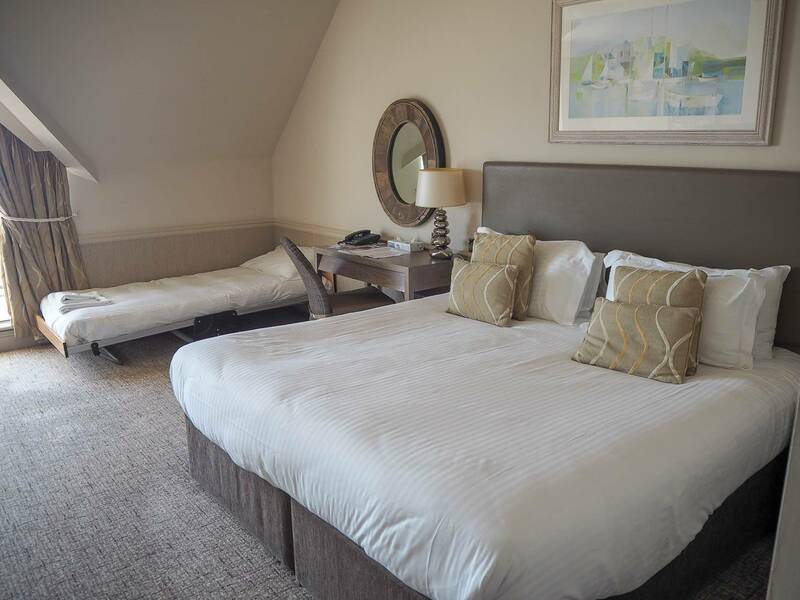 Still haven’t been to Jersey but it looks like an ideal Summer staycation! Wow am so jealous. Looks like you all had an amazing time. I’ve wanted to visit Jersey for a while and this has only increased that desire! It looks like you and your family had a great trip. That sunset is amazing and I love how you kept the little one occupied on the ferry! Oh wow what a lovely looking place. I visited a few times as a child but haven’t been back. Its definitely somewhere I would like to take my family in the future! 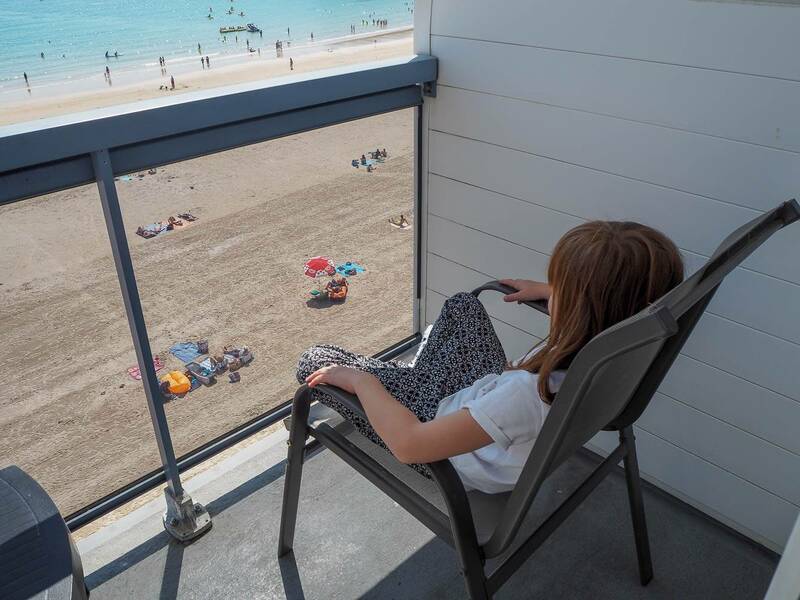 the view from the hotel room is amazing and the girls seem to really enjoyed the beach. Wow that beach looks gorgeous! Looks a wonderful place to visit. I hope to go one day! Ahh Laura this looks so amazing! 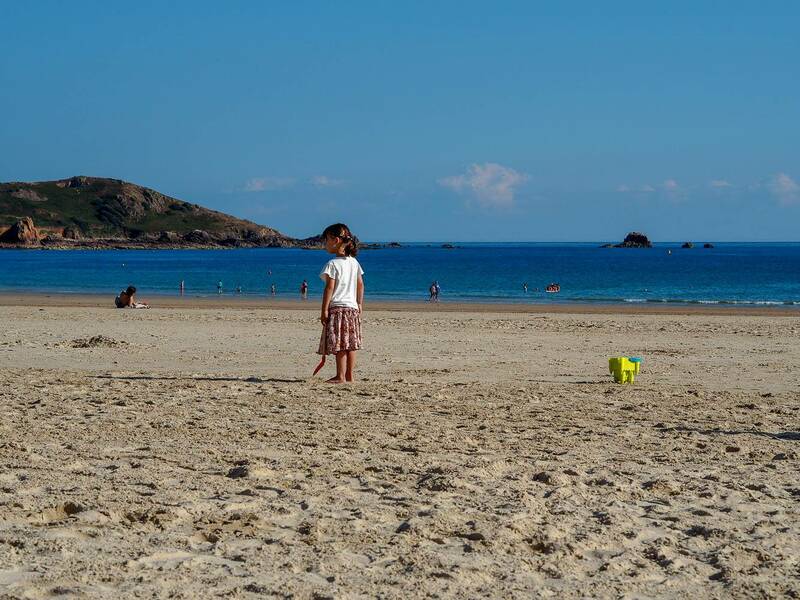 I’ve never been to Jersey but loved Guernsey when I visited as a child. The ferry sounds great as well, fab that the journey there was just as exciting as the holiday itself for the girls!